We want to develop business network globally in most ethical way, which will drive growth in most sustainable manner and will be socially responsible. Through our business we will reduce poverty and exploitation in this world. We will make this planet better place to live. Our Mission is to provide socially responsible solution and creating value to the entire stakeholder. A Specialist in Private Equity, Merger & Acquisition and Corporate Finance, I bring along over 15 years of experience in Finance, Financial Services and Islamic Finance sectors. 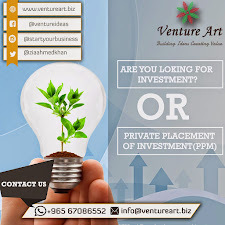 My expertise in strategic planning & development, Islamic finance structures and products with Shariah expertise, value creation and growth are complemented by my competencies in mergers & acquisition, deal sourcing & execution, product development, fund structuring feasibility study, PPM development, LBO & cash flow modelling, private equity fund management. I am skilled in corporate finance products & associated transaction documentation, value creation for all the stake holders, attaining long term strategic goals, developing fund strategy & transaction structures in Shariah. I am also proficient in sourcing, evaluating, negotiating, structuring and executing principal transactions; interpreting market intelligence data collected through primary & secondary sources and influencing portfolio company performance. • Developed financial models for acquisition & merger and structured legal & financial deals. • Identified & analyzed and scrutinized under-valued public companies. • Conducted financial, valuation, ownership and return analysis reviews of target companies. • Conducted due-diligence reviews of target companies for making investment recommendations. • Evaluated operations of the target companies to determine potential investment risks. I was responsible for sourcing investment opportunities; valuation; reviewing DCF and LBO models; conducting due-diligence reviews, etc. I was also responsible for maintaining relationship with Investment Bankers, Co-Investors, Lenders and Attorneys and involved in structured negotiations and contracts. I am a Doctorate in Finance and have completed MBA in Finance from Pune University, India. I am also a Certified Investment Banker (IFCAI), a Chartered Islamic Finance Professional (INCEIF KL Malaysia) and an Associate Fellow of Institute of Islamic Banking and Insurance, London (UK).